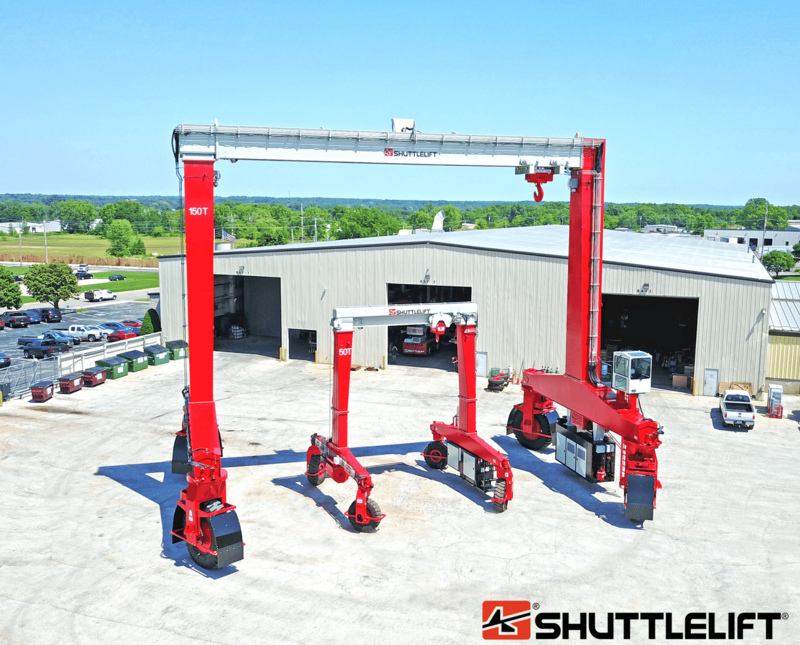 Our SB series currently offers gantry cranes that range from 30 ton to 200 ton (U.S.) capacity and greater. 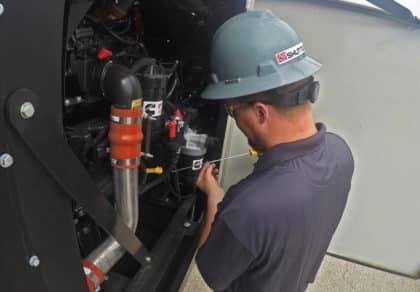 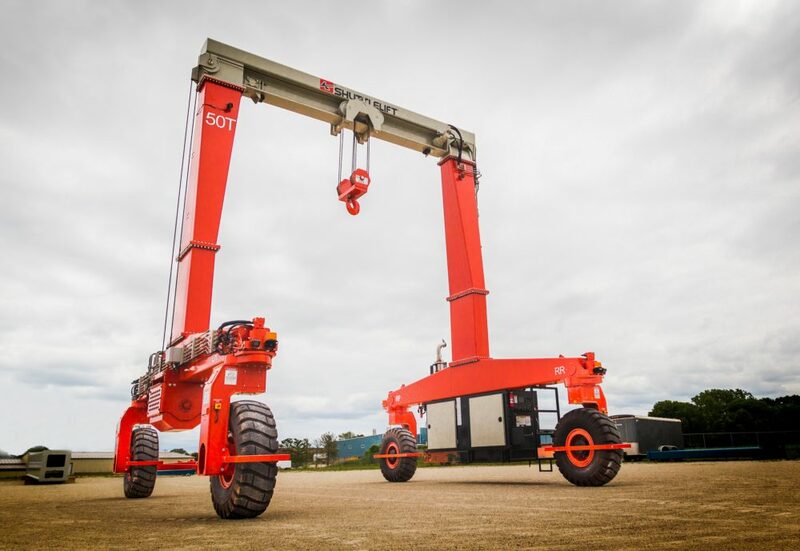 Each SB model is engineered as a unique lifting solution that will solve the toughest material handling challenges you have. 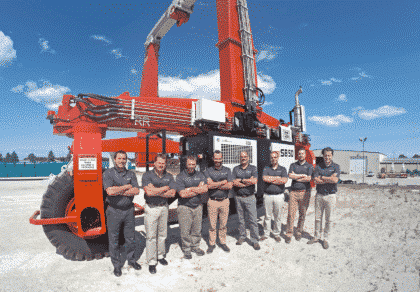 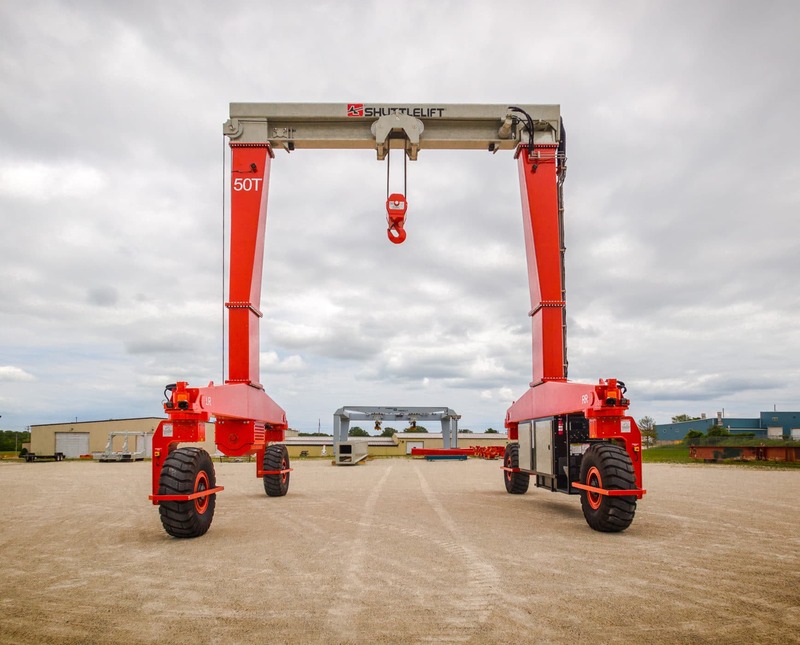 Our engineering team will also work closely with you to ensure that your SB series gantry crane meets your needs and surpasses your expectations, and we’ll continue to partner with you as your business moves forward. 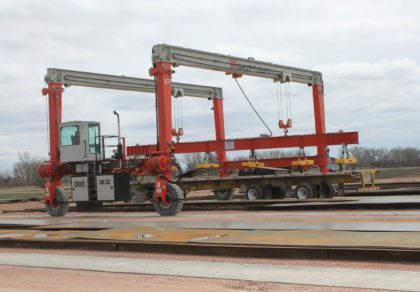 The SB series gantry crane lineup is ideally suited to today’s marketplace, in which components are getting longer, tandem picks are becoming more common, and plant managers are looking for a more cost-effective way to do business. 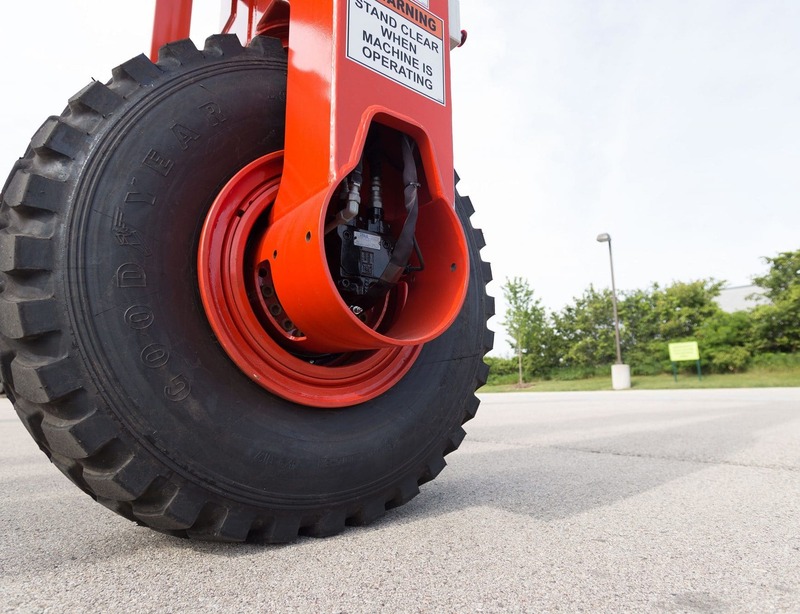 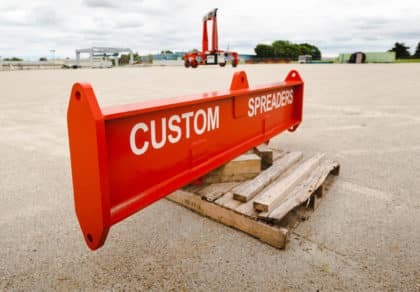 With just a single traversing beam and single hook, any load inside the plant can be easily transported to your yard without extra handling equipment. 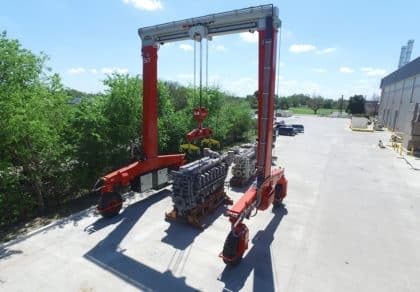 Our revolutionary SB series currently offers gantry cranes that range from 15 ton to 150 ton (U.S.) capacity and greater. 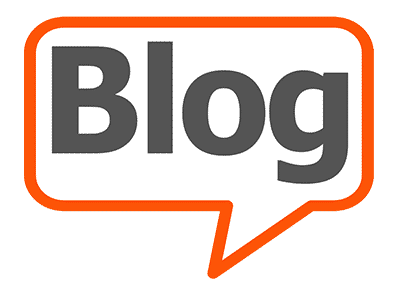 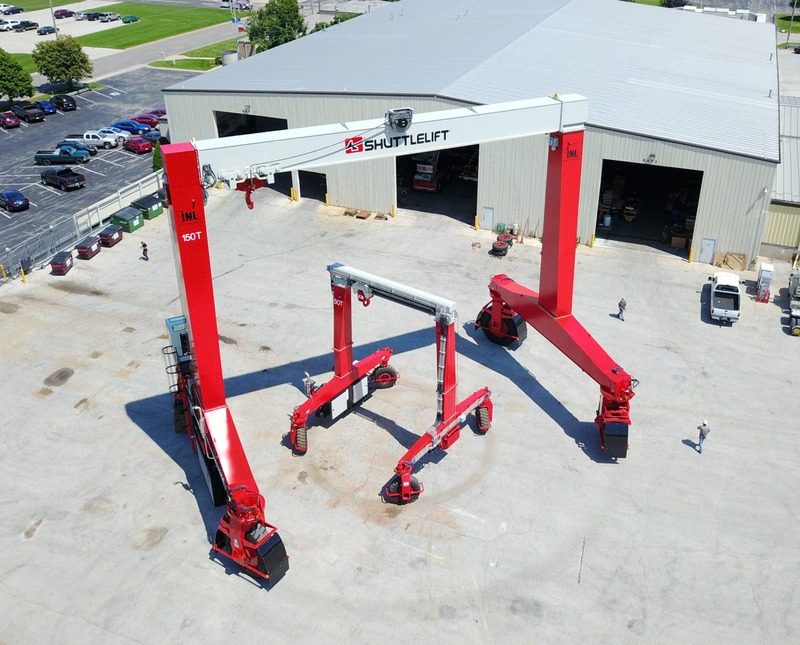 Our engineering team will work closely with you to ensure that your SB series gantry crane meets your needs and surpasses your expectations, and we’ll continue to partner with you as your business moves forward. 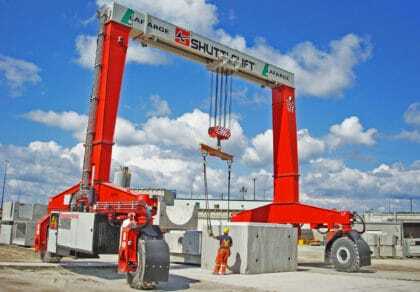 (SB Series: Rubber Tired Gantry Crane) All functions of the Shuttlelift crane work through electrical signals sent from the operator control paddles to hydraulic valves. 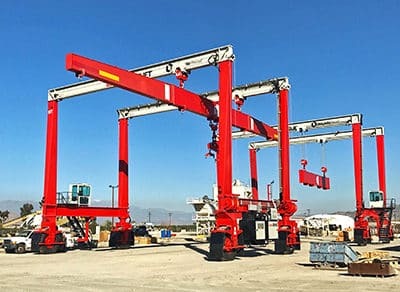 (SB Series: Rubber Tired Gantry Crane) With closed loop you never have to worry about sacrificing drive power to other machine functions and the hydrostatic system allows the operator unparalleled smooth control. 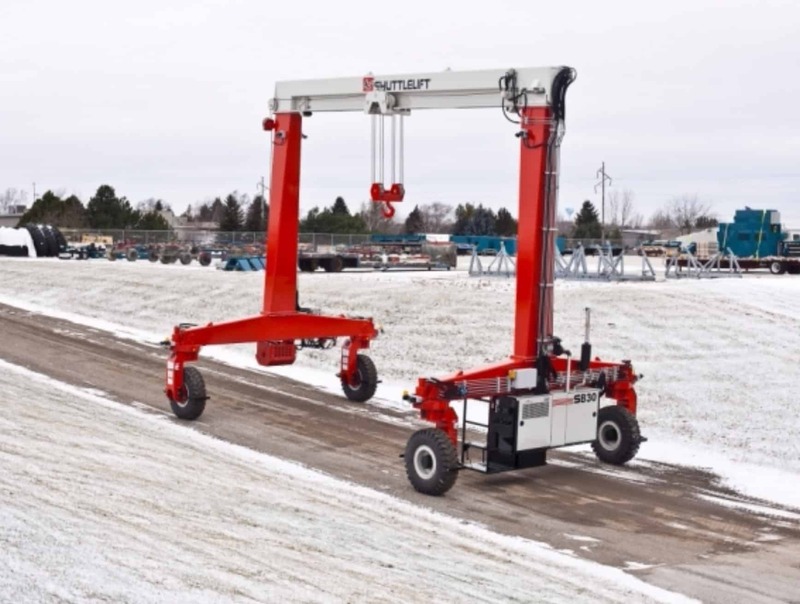 (SB Series: Rubber Tired Gantry Crane) Shuttlelift's Wireless Remote Control increases operator visibility of the load by allowing the operator to be anywhere around the load or work being performed, improving operational safety and ensuring maximum maneuverability. 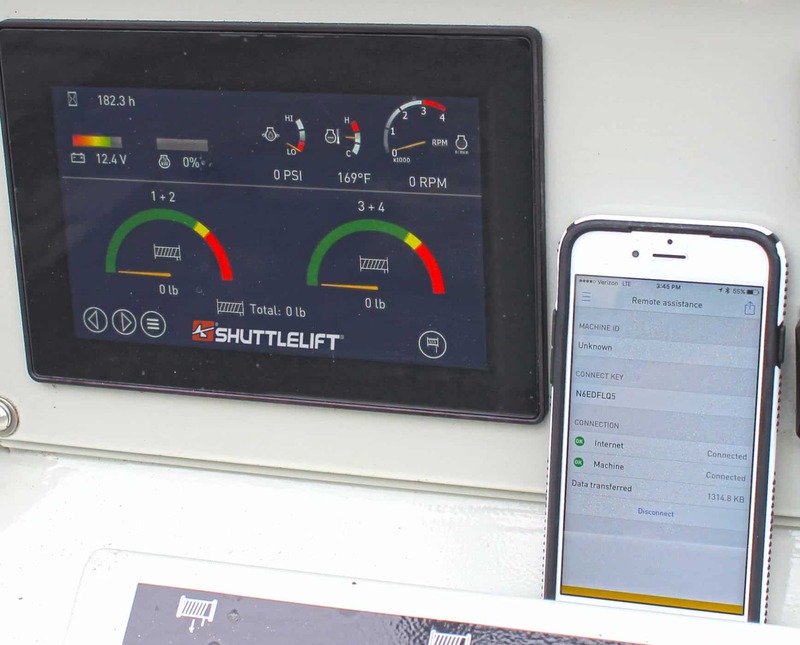 (SB Series: Rubber Tired Gantry Crane) Shuttlelift’s intelligent remote diagnostics include a Bluetooth dongle that is designed to transmit wireless diagnostics from the Shuttlelift directly to a smartphone or tablet - allowing an offsite technician to view a machine while operating, troubleshoot the issue, and upload a new program if needed – all in the same session. (SB Series: Rubber Tired Gantry Crane) The steering pivot of the crane is equipped with a slew bearing which simplifies maintenance and service operations – reducing maintenance costs and increasing the life of your machine. 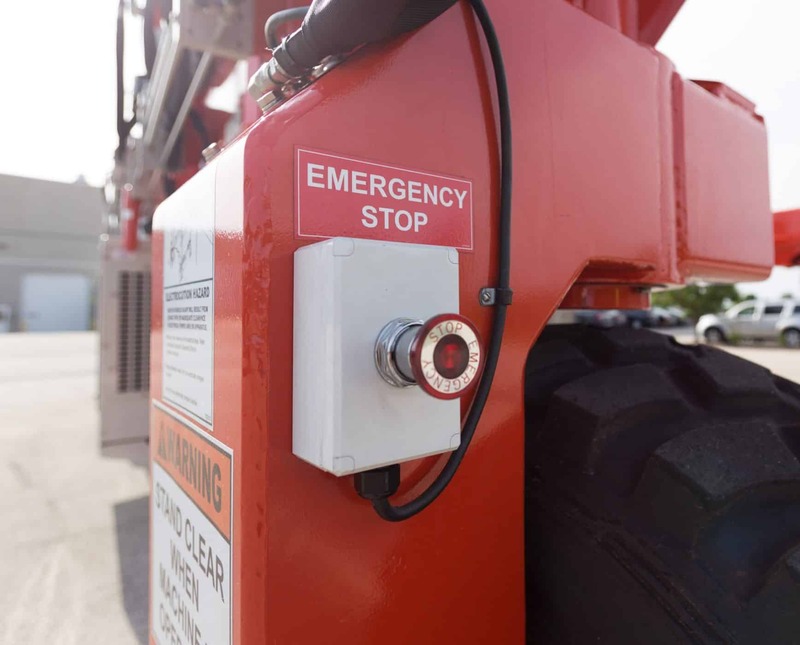 (SB Series: Rubber Tired Gantry Crane) Emergency Shutdown controls are located at each corner of the crane to allow ground personnel around the crane's perimeter to stop the crane if unsafe conditions occur. 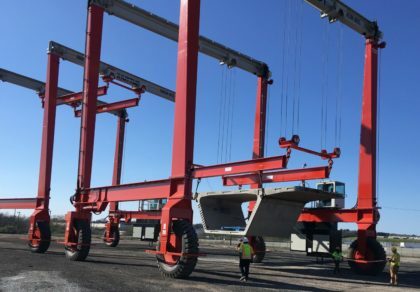 (SB Series: Rubber Tired Gantry Crane) Everyone in the work area will know the Shuttlelift is engaged and moving with the flashing strobe lights and smart travel alarms that can adjust decibel levels depending on the surrounding noise. 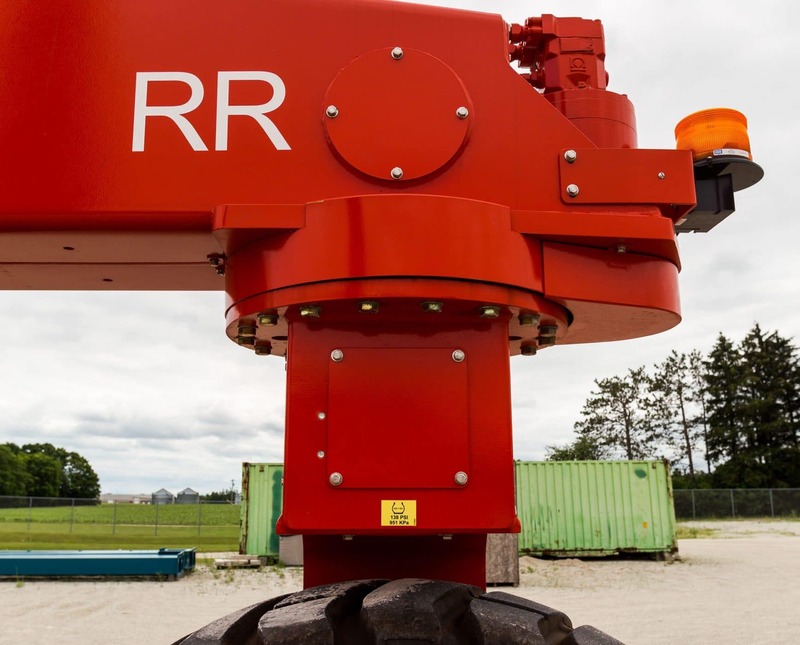 (SB Series: Rubber Tired Gantry Crane) With hoists mounted to the lower side beam, the operator can easily see the reeving of the wire rope and can perform needed maintenance without the requirement of a man lift. 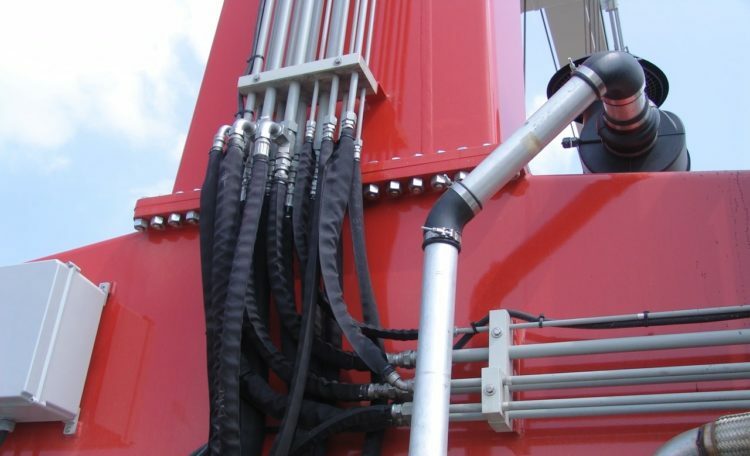 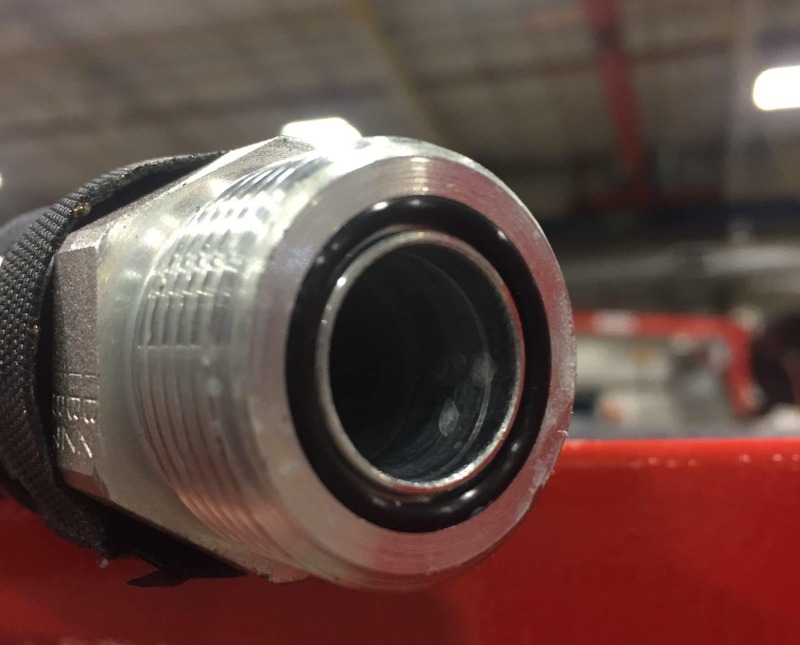 (SB Series: Rubber Tired Gantry Crane) All hoses are protected by a cordura covering preventing exposure to harsh environments and elements to extend the life of your machine. 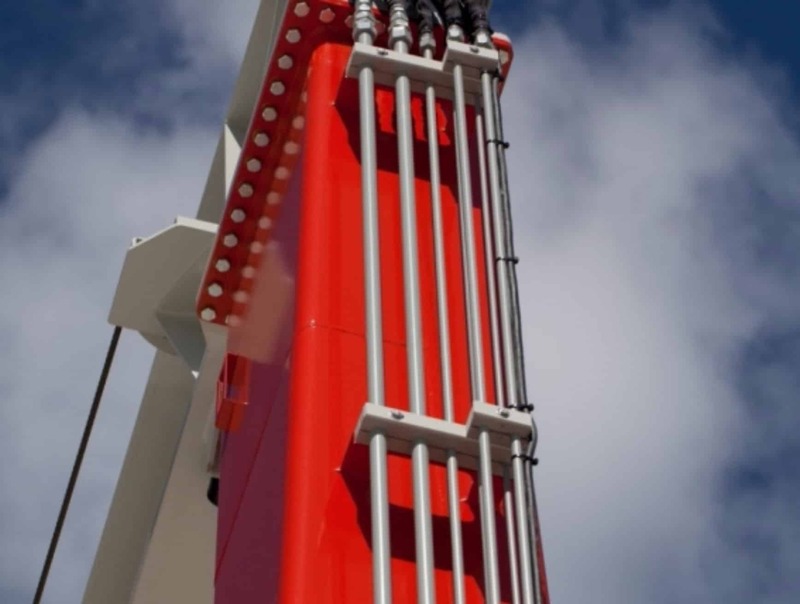 (SB Series: Rubber Tired Gantry Crane) Powder Coated Steel Tubing reduces maintenance costs while providing protection from harsh environments and elements. 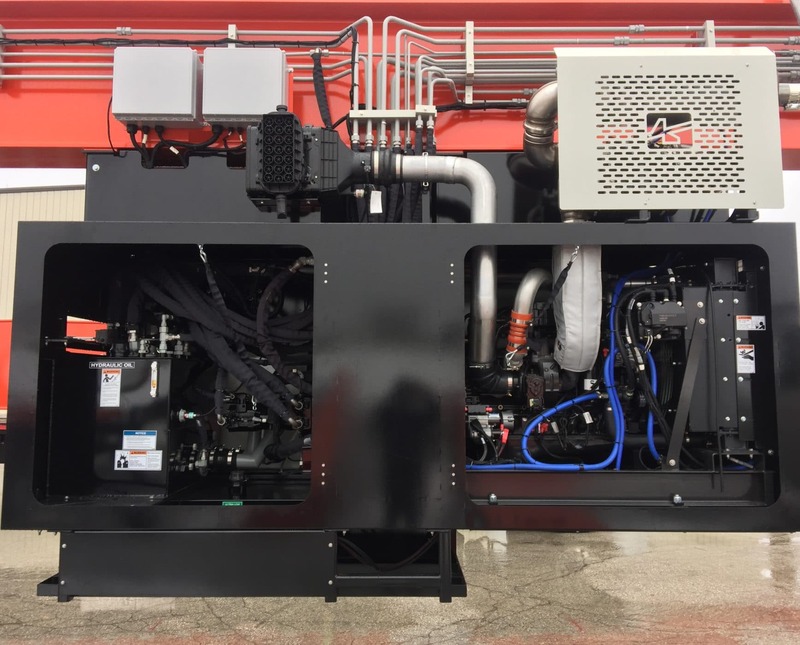 (SB Series: Rubber Tired Gantry Crane) The Hydraulic Oil Cooler maintains the hydraulic oil temperature allowing the crane to work more efficiently at high duty cycles and in harsh work environments maximizing component life. 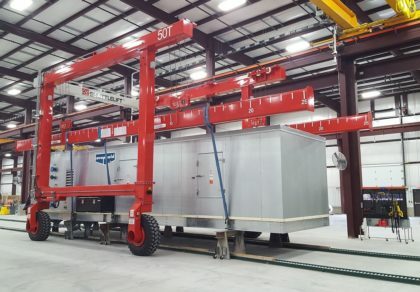 (SB Series: Rubber Tired Gantry Crane) Most technologically advanced system available for mobile equipment in minimizing potential leaks. 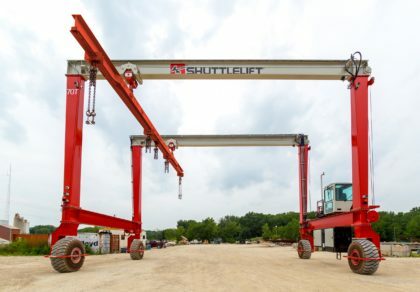 (SB Series: Rubber Tired Gantry Crane) At Shuttlelift, we modify the height and width of our cranes to meet specific customer requirements. 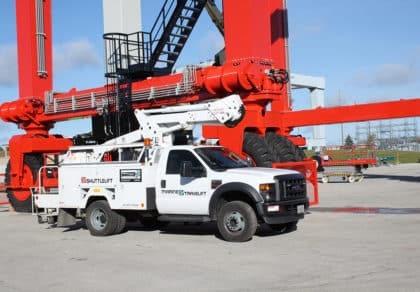 (SB Series: Rubber Tired Gantry Crane) Shuttlelift's All-Wheel Electronic Steering provides maximum flexibility, maneuverability and precision handling while operating in confined spaces. 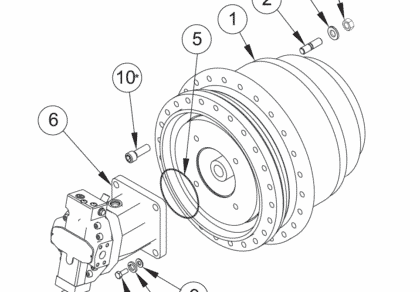 Available steering modes include 2WS 90° Front, 2WS 90° Rear, Crab, Transverse, Carousel and Coordinate. 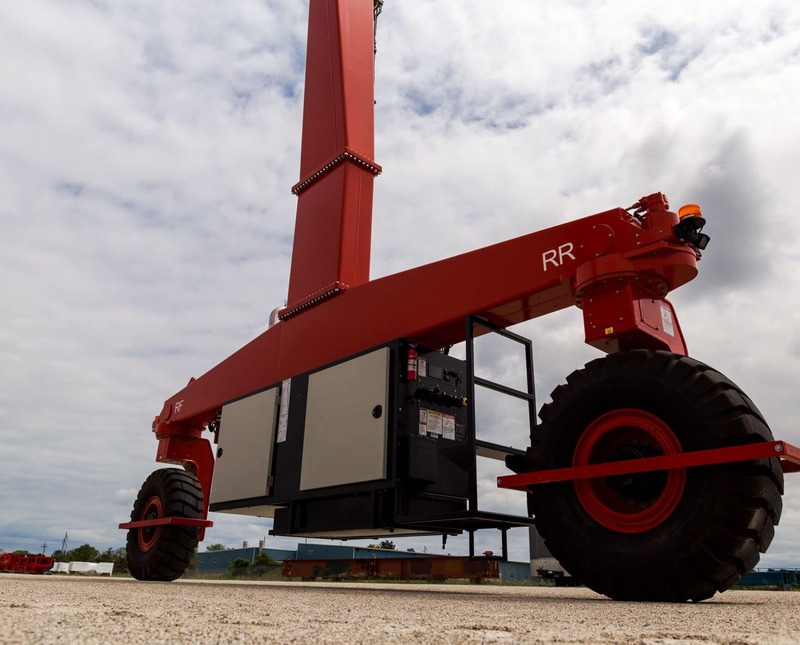 (SB Series: Rubber Tired Gantry Crane) Shuttlelift provides Increased Gradeability through additional wheel motors that allow its gantry cranes to travel over inclined or uneven surfaces. 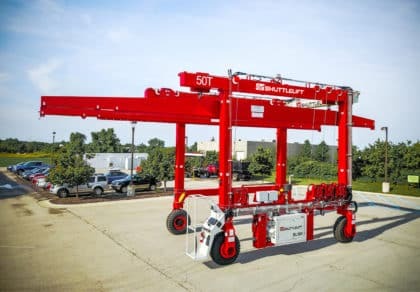 (SB Series: Rubber Tired Gantry Crane) This reliable, tested and proven system is based off Shuttlelift’s patented electronic all-wheel steering technology. 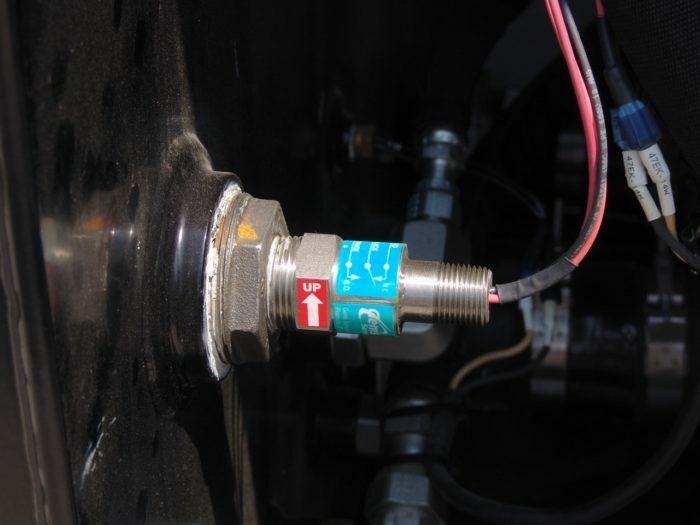 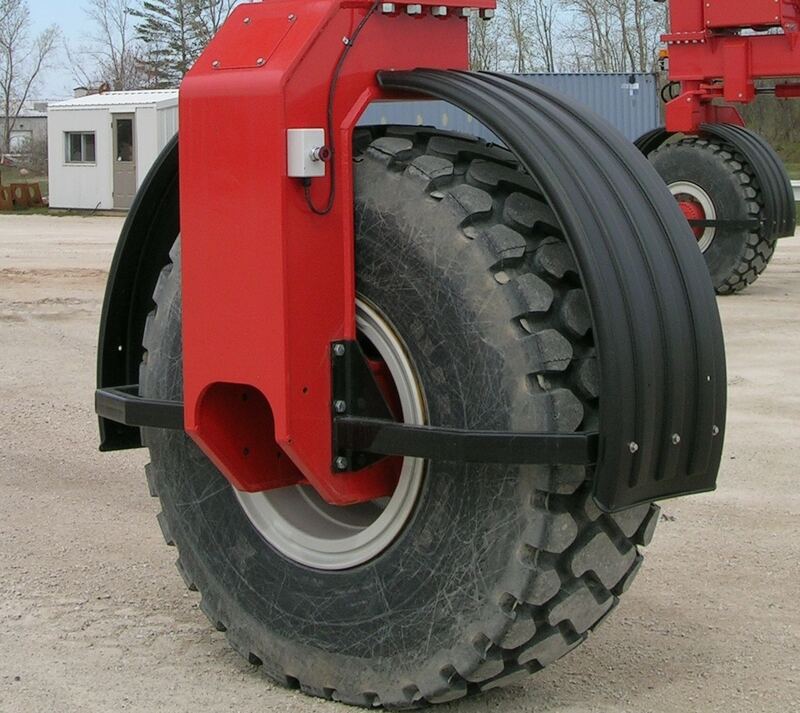 Two wheel linkage less steer removes the steering linkage resulting in less maintenance, wear parts, grease points and requires minimal effort to keep wheel alignment. 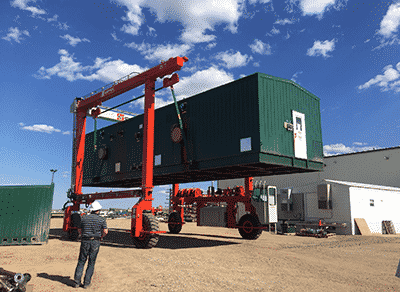 (SB Series: Rubber Tired Gantry Crane) Shuttlelift's Electronic Load Readout option provides indication in the cab of the load weight being lifted. 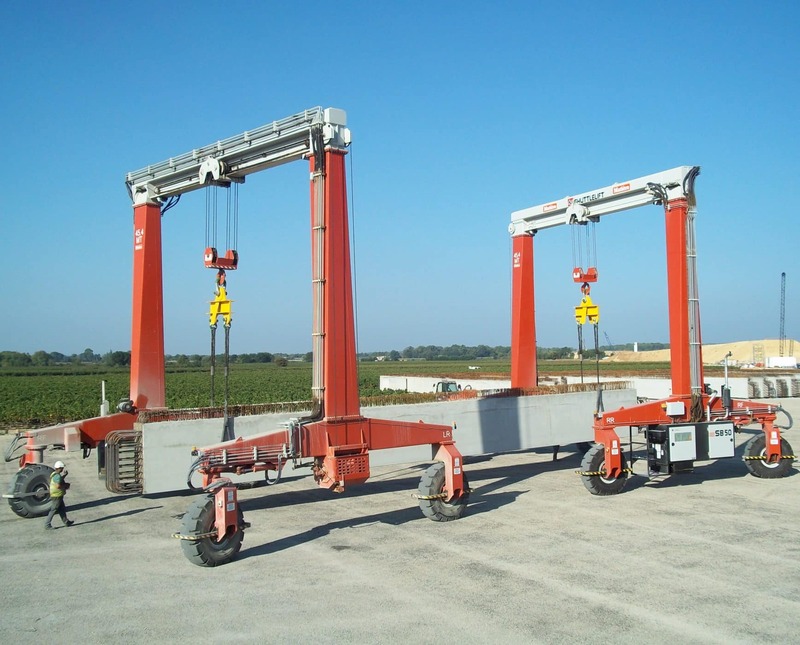 (SB Series: Rubber Tired Gantry Crane) Used on machines that will regularly be started in cold temperatures. 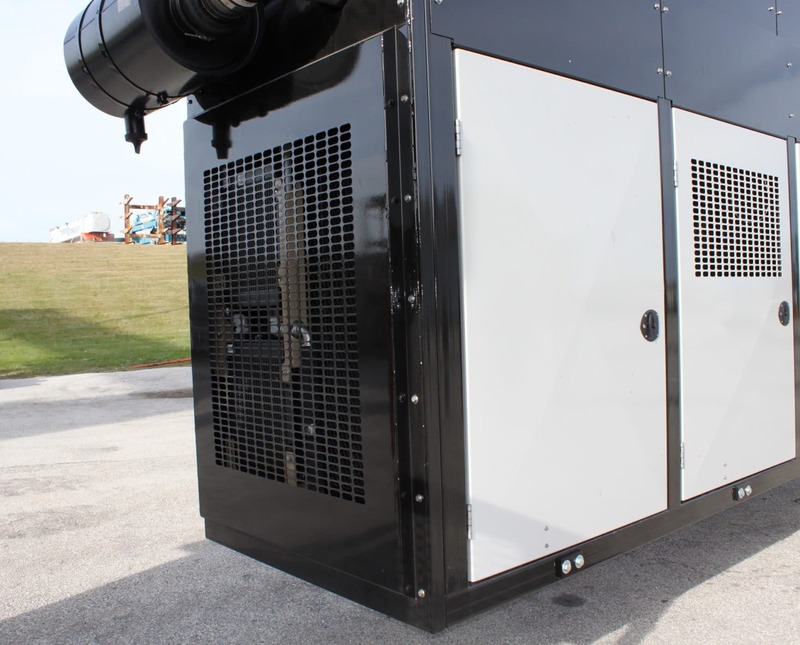 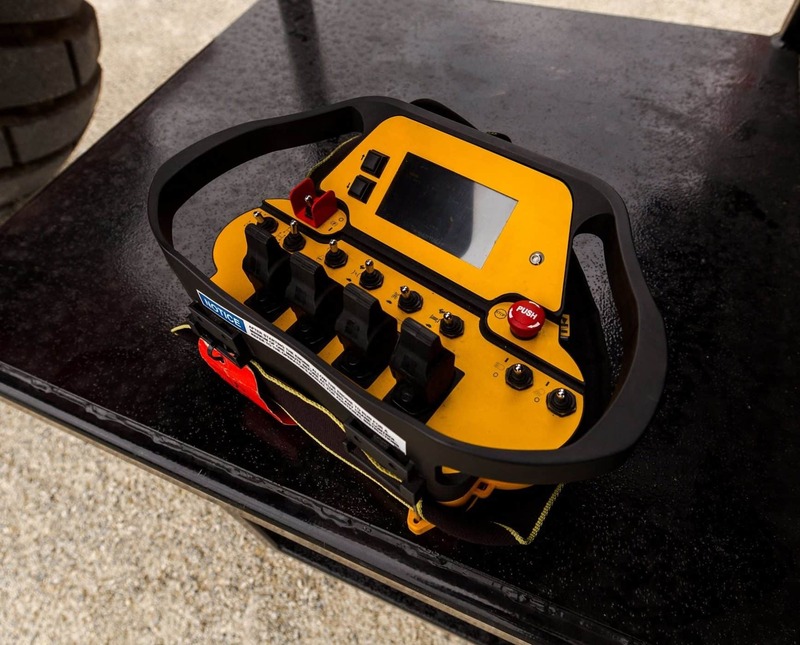 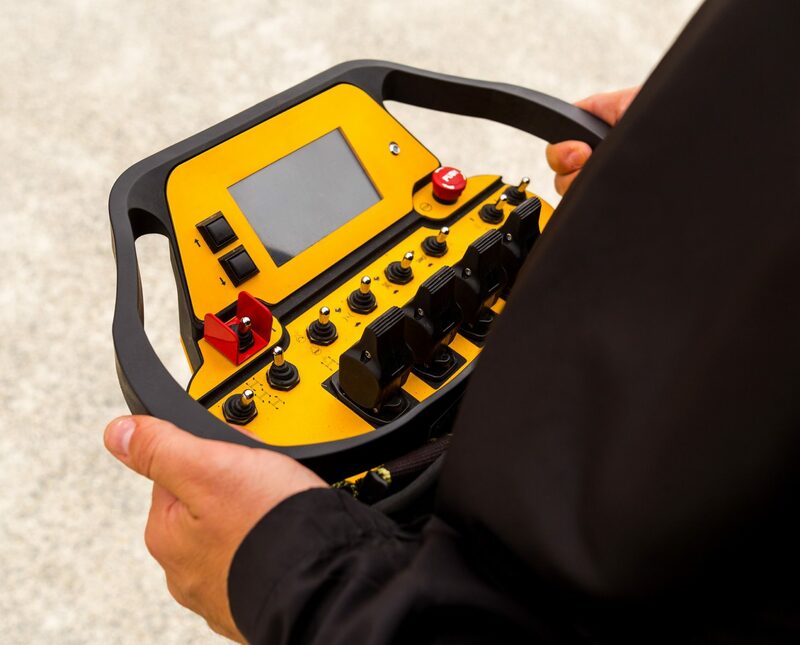 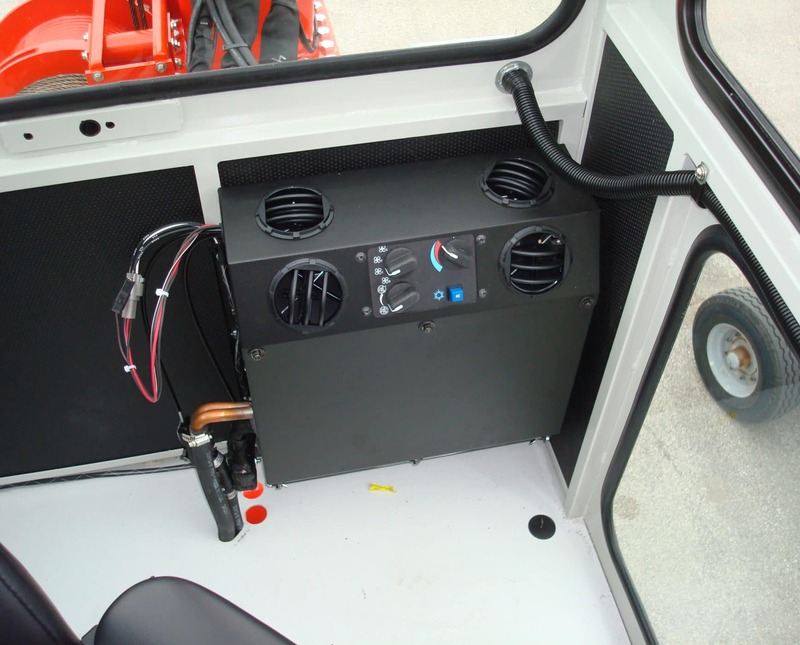 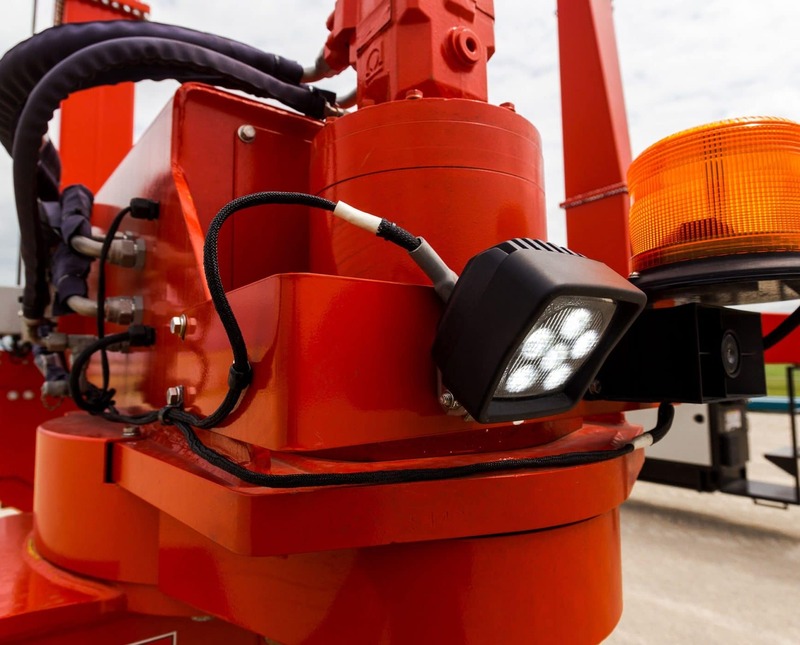 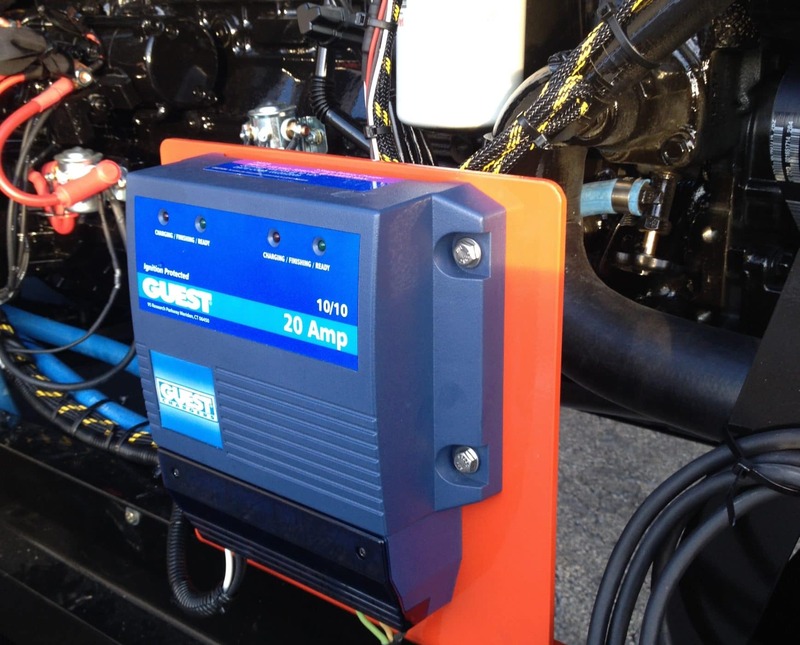 The package includes an engine coolant heater, hydraulic oil heater and a battery trickle charger that connects to 110 volt. 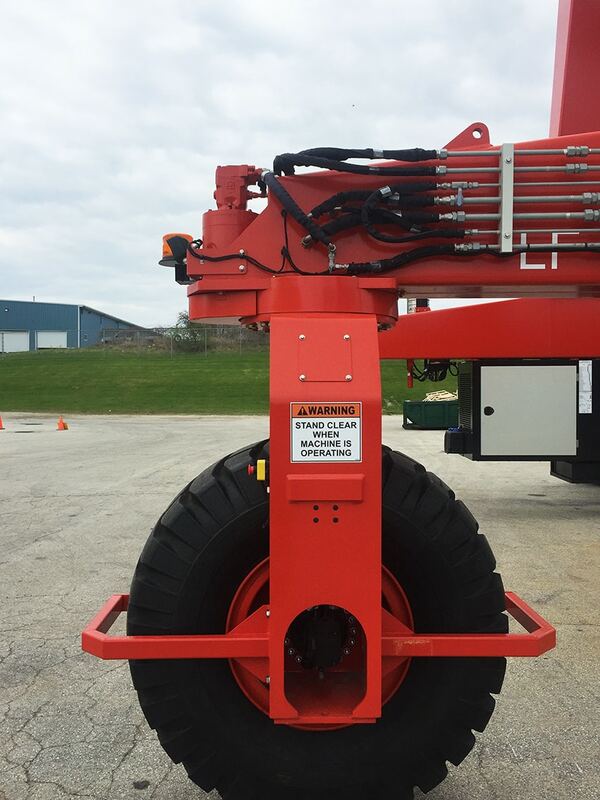 (SB Series: Rubber Tired Gantry Crane) The Enclosed Cab option provides comfort/protection for the operator in inclement environments. 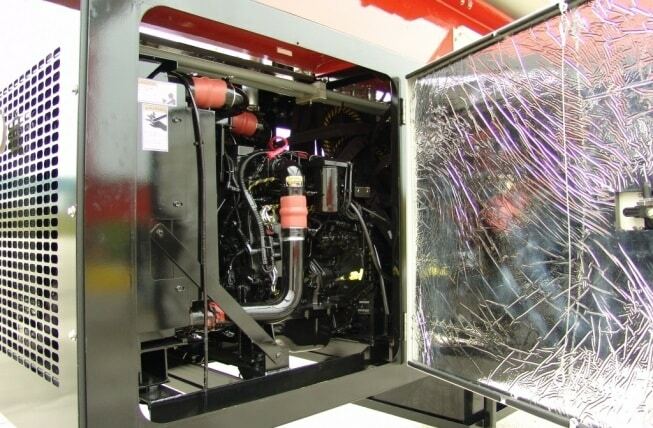 This option comes equipped with heater, defrost fan, and windshield wiper. 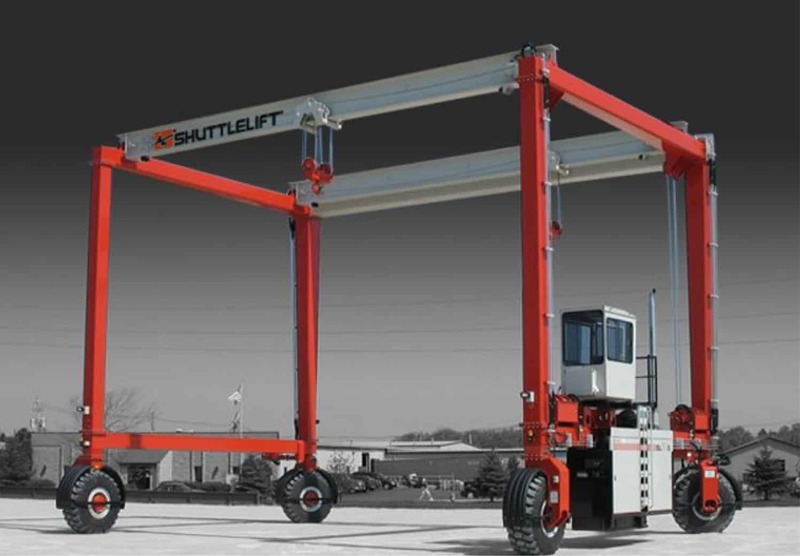 (SB Series: Rubber Tired Gantry Crane) Whether you have hot summers or cold winters, Shuttlelift offers climate control for your enclosed cab. 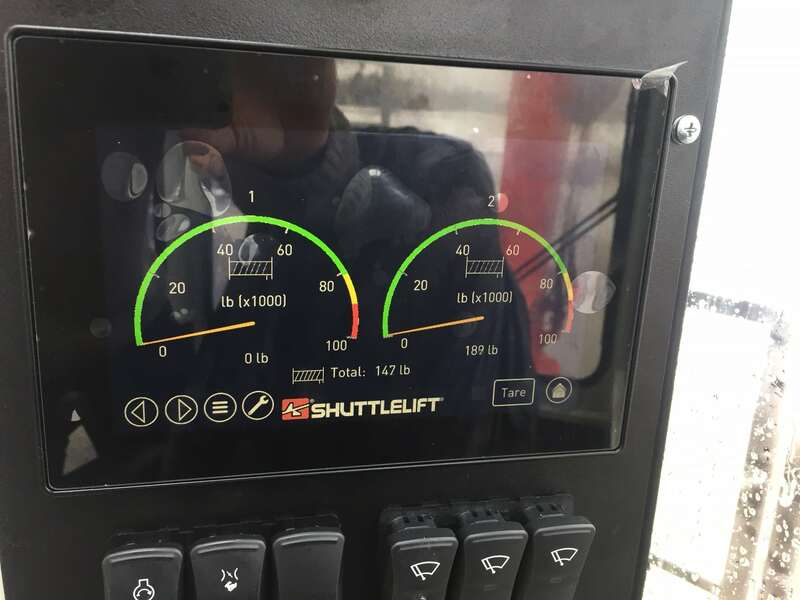 (SB Series: Rubber Tired Gantry Crane) With Shuttlelift's Automatic Variable Throttle (AVT), built-in engine programming automatically adjusts engine speed to draw only the power you need to complete the task at hand, significantly reducing fuel consumption, and increasing component life. 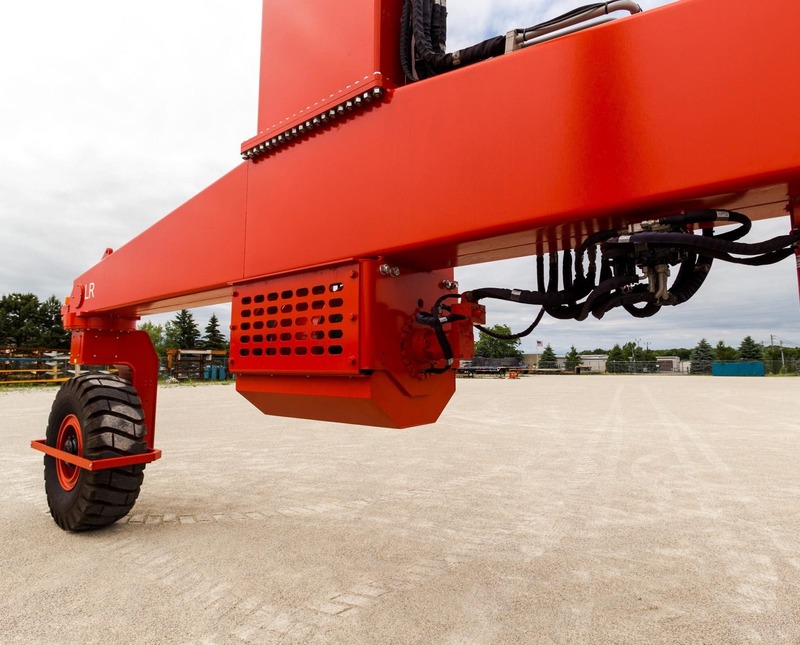 (SB Series: Rubber Tired Gantry Crane) The Shuttlelift hydraulic Shut-down option protects the crane in the event of low hydraulic oil level or high hydraulic oil temperature, by shutting the crane down to prevent damage to hydraulic components. 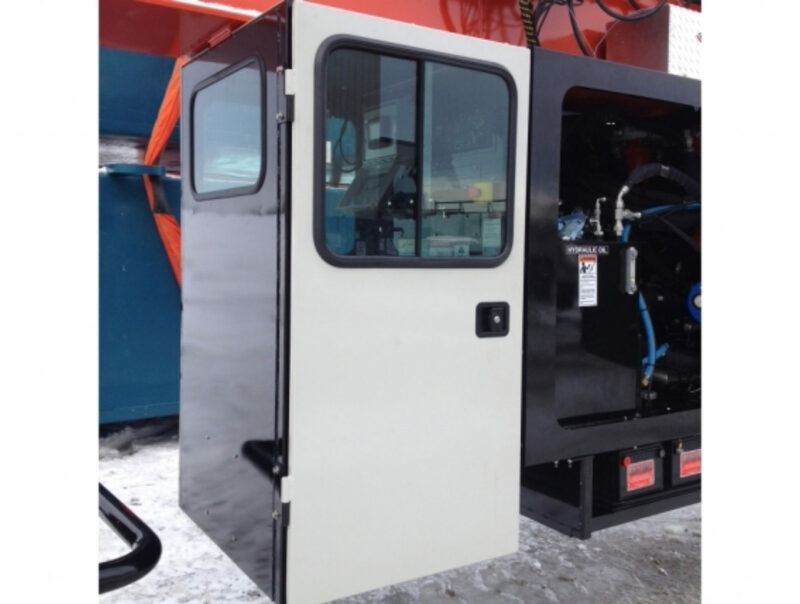 (SB Series: Rubber Tired Gantry Crane) Level 1 consists of sound absorption panels mounted inside of the engine compartment to reduce ambient noise around the crane. 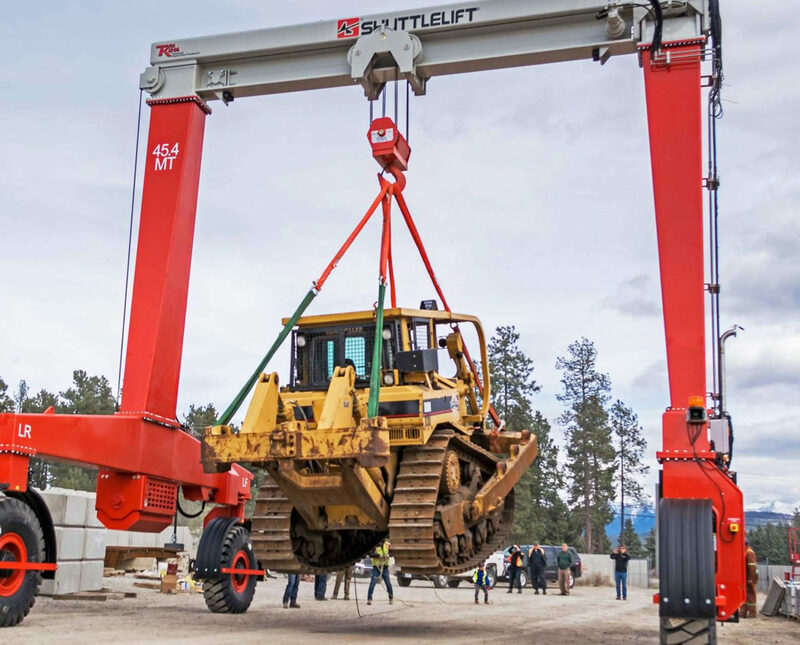 (SB Series: Rubber Tired Gantry Crane) Shuttlelift provides optional fenders for the wheels to keep mud and dirt off of the crane's structure in muddy yard conditions. 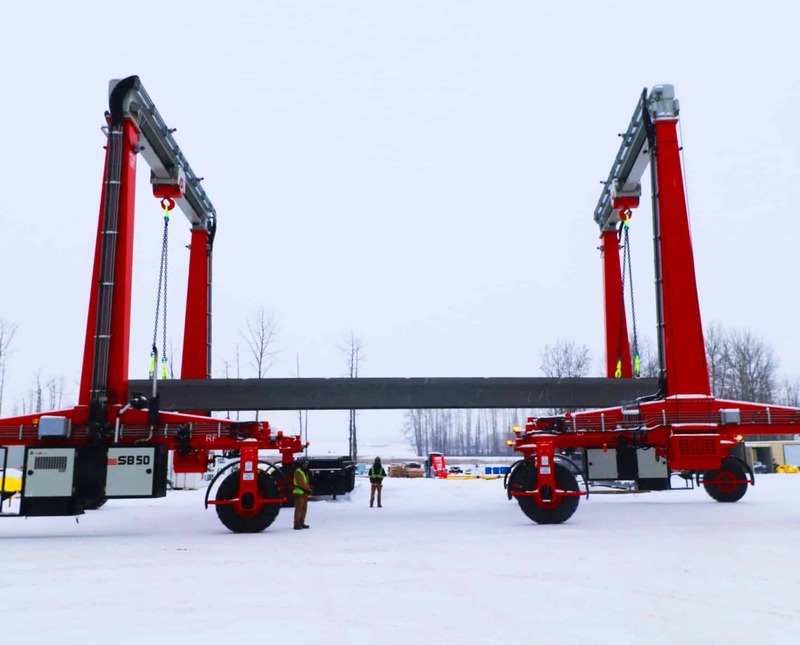 Our mobile gantry cranes are designed to meet each of our customer’s unique specifications. 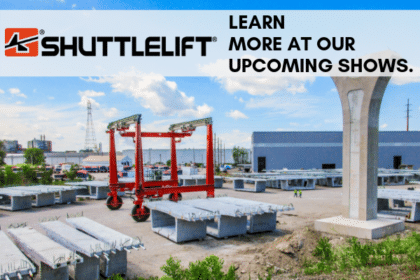 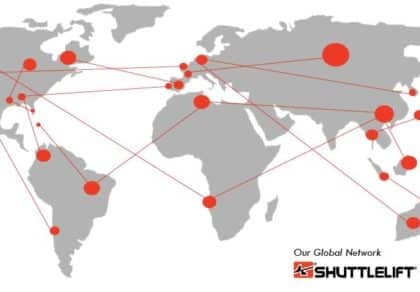 Check out a preview of how Shuttlelift’s rubber tired gantry cranes are helping our customers with all of their lifting needs.